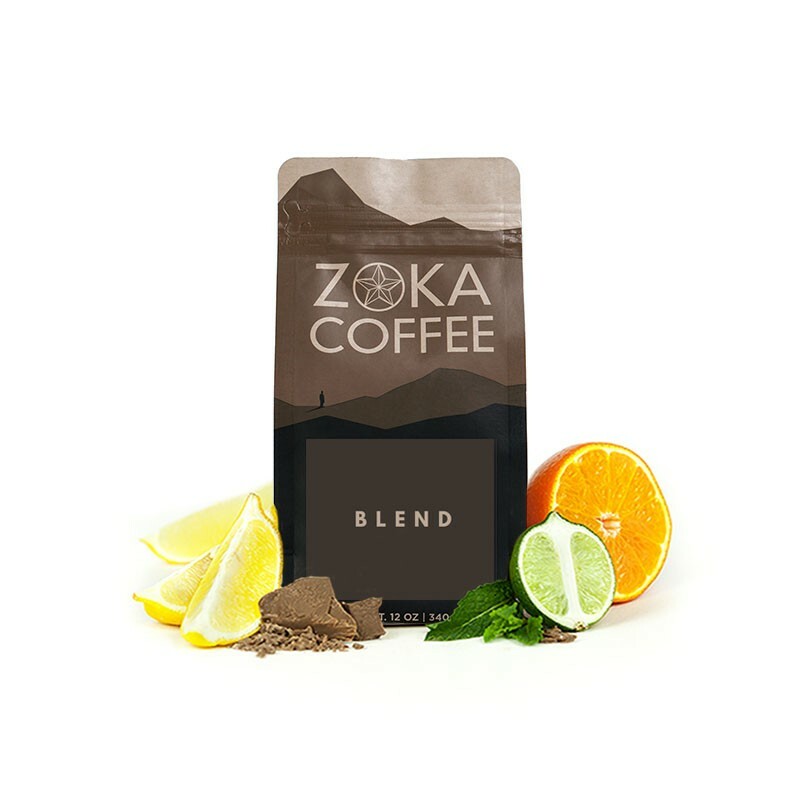 The Espresso Paladino was blended and roasted for you by Zoka Coffee Roasting Co. The Paladino Espresso has been Zoka's house espresso from the beginning. While the components change throughout the year, the overall profile is always the same; velvety milk chocolate balanced by a citrus acidity, this espresso is great enjoyed neat or with a little milk. At least as good as Zoka's Cuatro. As you might expect from the description this one is less earthy and instead more citrus. Overall this one may have a bit more balance to my taste, but both are very good. Delicious! Rich, complex chocolate/hazelnut flavors and brighter citrus/fruit flavors that come through as well. It took a week of brewing this coffee for me to really taste the notes. The flavors blended well together, but I would have liked them to be a bit stronger. While I liked it better than Parisi's Roma Espresso Blend, I did not like it as much as Caffe Vita's Organic Espresso. Incredible coffee. It's pretty light in flavor, but super complex. Absolutely killer espresso and normal coffee from this roast. Definitely an awesome espresso. Would highly recommend on French press and Eva Solo as well. Bitter chocolate flavor with good body. Very good espresso. So far, I have only tried Paladino without milk. Unfortunately, I have not been too impressed. I pulled one shot slightly ristretto 20in:34out in about 30ish seconds, and it was quite bland. The shot tasted of molasses, and lacked the bright notes of orange and lime that I was hoping for. I then decided to pull the shot in a more normale style 20in:40out in about 30ish seconds. I didn't notice much of a difference. I will update this review once I try it with milk. I don't mind more burnt and roasty notes as long as it includes some brighter spicy notes, as well. Update: I have tried this coffee with milk and it is still bland. I'm just not getting notes of spicy acidity no matter how I brew it. Sermon espresso was definitely better, and I tend to like coffee that is roasted lighter than this one. Also, Ilike coffee that is much more complex than this one.